How Can I Qualify For The World Series of Poker Main Event? - Casino Answers! Casino Answers » Poker » WSOP » How Can I Qualify For The World Series of Poker Main Event? How Can I Qualify For The World Series of Poker Main Event? Obviously the easiest way to get a seat in the World Series of Poker Main Event is to pony up the $10,000 entry fee, sit down and obviously win it. Of course, it’s a lot of money and it would be a lot nicer if you could play in it for as little as possible. Chris Moneymaker played in a $39 tournament, won his seat and then won the World Series of Poker Main Event, so why can’t you do the same? The best way of doing this would be to find a poker room with a good variety of World Series of Poker Main Event qualifiers, decide what your bankroll will allow you to play in and then qualify with consummate ease. Most online poker rooms will have some sort of qualification structure, but perhaps the best structure at the moment is over at Bovada Poker. If you have a small bankroll, or you just don’t want to spend too much money trying to qualify for the World Series of Poker Main Event, Bovada Poker Poker’s qualifying tournaments start at just $1. So, you buy into the $1 + 0.10 “Cheap Seat” tournament and if you qualify from that, you play in the Main Event Quarter-Final. If you qualify from the Main Event Quarter-Final, you then get your place in the Main Event Semi-Final. Again, you qualify from that, and you’ve got yourself a place in the Main Event Satellite. Qualify from that, you’ve got yourself a $12,000 prize package to the World Series of Poker Main Event courtesy of Bovada Poker. These tournaments are $1 +0.10 and are either rebuys our turbos. In both tournaments, 4 seats are guaranteed for the Main Event Quarter-Final tournaments. In the rebuy tournaments, a seat is guaranteed for every $11 in the prize pool. In the turbo tournaments, a seat is guaranteed for every $5.50 in the prize pool into the Main Event Quarter-Final Turbo Tournaments. The rebuy tournaments run all week at 1pm and 5:45pm Eastern. The turbo tournaments run all week at 12:30am and 5:15pm. Well, you’re one step closer to taking your seat at the World Series of Poker Main Event and there are three different Main Event Quarter-Final tournaments to choose from. If you’ve got your ticket from the Cheap Seat turbo tournament, you get to play in the turbo Quarter-Final Tournament. If you qualified from the rebuy tournament, you have the privilege of playing in the $10 +$1 tournament. There are also $15 +$1 Sit and Go Quarter-Finals (6-handed). Qualify from one of these and you earn your Main Event Semi-Final Tournament. The turbo tournaments are $5 +0.50, a seat is added for every $38 in the prize pool and the first two seats are guaranteed. These tournaments run 7 days a week at 1:30am and 6:15pm Eastern. The $10 +$1 tournaments have a seat every $75 in the prize pool, with the first two seats guaranteed. 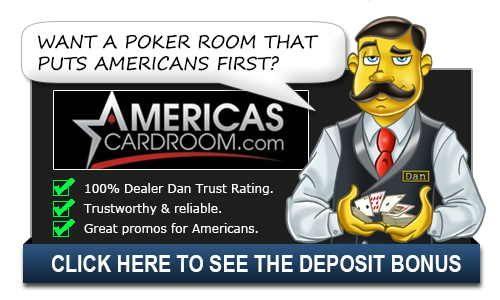 These tournaments run 7 days a week at 2:30pm and 7:45pm Eastern. The 6-handed Sit and Go Quarter-Finals run every day, all day with the winner getting a seat to the $69 +$6 Main Event Semi-Final and second place gets $15. Almost there! You have two choices of tournaments here. If you’ve qualified from the turbo Main Event Quarter-Final, you’ll have a ticket into the $35 +$3 Main Event Semi-Final. If you qualified from the Sit and Go Main Event Quarter-Final or the $10 +$1 Main Event Quarter-Final, you get to play in the $69 +$6 Main Event Semi-Final. If you win a seat, you get a ticket to play in a Main Event Satellite, where you’ll be in with a chance of qualifying for the World Series of Poker Main Event. The $35 +$3 Main Event Semi-Finals have one seat for every $500 in the prize pool, with one seat guaranteed. They run 7 days a week at 2:30am and 7:15pm Eastern. The $69 +$9 Main Event Semi-Finals have one seat for every $500 in the prize pool, with one seat guaranteed. They run 7 days a week at 4:00pm and 9:45pm Eastern. And this is the final leg, where you could win a $12,000 package to the World Series of Poker Main Event. If you’ve won a ticket from the Main Event Semi-Finals, you can play in any Main Event Satellite that you want. If you want to buy in directly, it will cost you $500 ($470 +$30). The Main Event Satellites run every Sunday (or sometimes a Monday) up until June 20th. The guaranteed packages vary, with most offering 2 packages guaranteed. However, May 1st and June 5th offering 10 packages. 4 packages are on offer on May 15th, too. On the day of the Main Event Satellites, you can also play in various satellites throughout the day to try and qualify for them. The satellites start at 2:12pm and range from $25 +$2.50 up to $100 +$9. The Sunday Main Event Satellites start at 4:35pm Eastern, while the Monday Main Event Satellites start at 9:05pm Eastern. So, there you have it, lots of ways to qualify for the World Series of Poker Main Event at Bovada Poker Poker. You can buy-in directly to any stage you want and if you do manage to qualify for the paltry amount of $1, well done and remember to let us know, especially if you then go on and win that bracelet. Is there any way to qualify to get into the world series of poker without playing online at all? Besides throwing up the 10 grand? I hate playing online, and I Dont feel like throwing up 10 grand, do I have any other options? Bars in your area or casinos may do a promotion around it. However your best bet would be to go to Vegas a week or so before the main event starts. There are tons of satellite tournaments you can enter with a large variant of buy-ins and entry fees so you can play live and satellite in.